Steve is a physical therapist with over twenty years of experience treating patients with chronic pain and movement dysfunction. His interests in manual therapy, neurology, pain neuroscience and movement impairments led him to pursue a diverse range of training opportunities including two different year-long manual therapy courses, the 6-month program in Proprioceptive Neuromuscular Facilitation (PNF) and a Masters of Physiotherapy (Manipulative Physiotherapy) in Adelaide at the University of South Australia. He currently works at the Kaiser Foundation Rehabilitation Center treating patients with neurological impairments, teaching in the PNF program and serving as adjunct faculty at Samuel Merritt University. He is a Fellow in the American Academy of Orthopaedic Manual Physical Therapists, a board certified specialist in orthopaedic physical therapy and is an instructor with the International Proprioceptive Neuromuscular Facilitation Association (IPNFA). 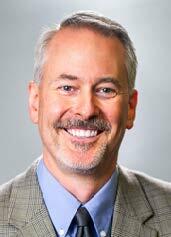 He has taught numerous seminars for the Neuro Orthopaedic Institute (NOI), the International Spine and Pain Institute (ISPI) and is faculty for the ISPI/EIM Pain Specialty Certification Program. Relevant to the content of this CME activity, Mr. Schmidt indicated he has no financial relationships with commercial interest companies to disclose.